From 2 to 6 July 2018, the College of Europe Development Office welcomed 40 students and 3 faculty members of the Norwegian University of Science and Technology – NTNU Trondheim. The students were following the University’s Master in Public Administration. 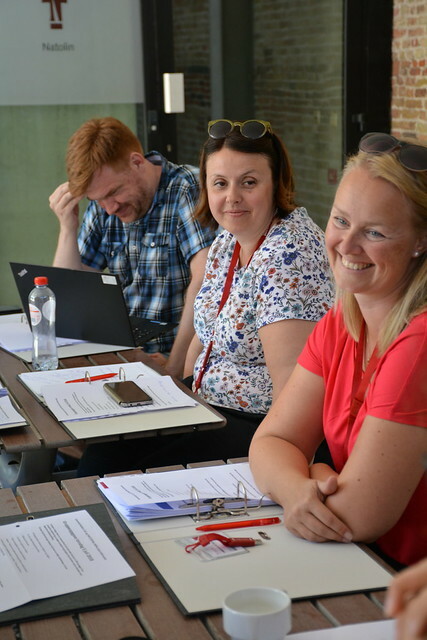 The training programme aimed at equipping the participants, who already have a solid knowledge on the EU and its functioning, with the tools to strengthen their understanding of the current trends and challenges of the European Union. In particular, the participants had the possibility to expand their knowledge on the global financial crisis, the perspective of a differentiated integration within the EU, and the EU’s main responses to new security challenges, including migration. The programme also included group work sessions organized after the lectures, so that the participants could have an exchange over the main topics discussed and capitalize on the lessons learned.